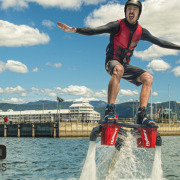 The dream of combining water-sports and flight into one, high-octane adrenaline rush has finally arrived! 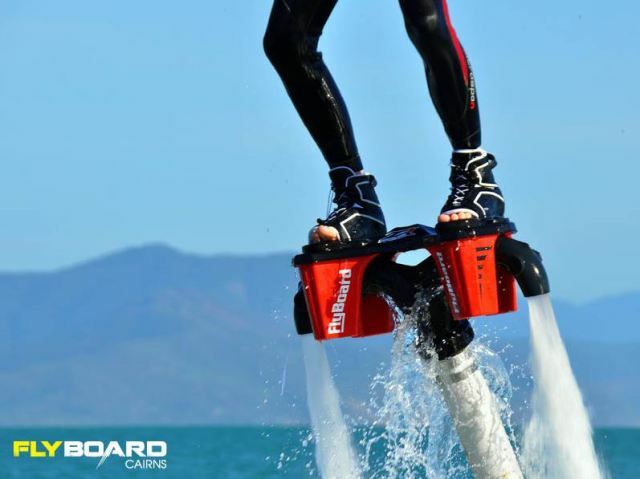 The Flyboard is a water-jet powered board, which allows propulsion in the air, as well as under the water. 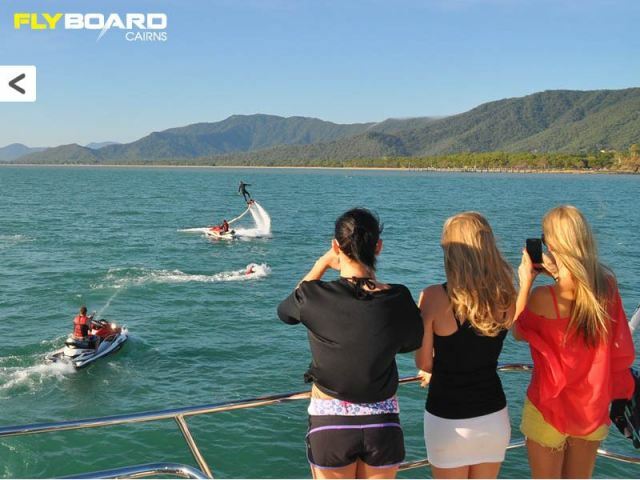 Feel the thrill of flying over the waves, or the rush of streaming under them! 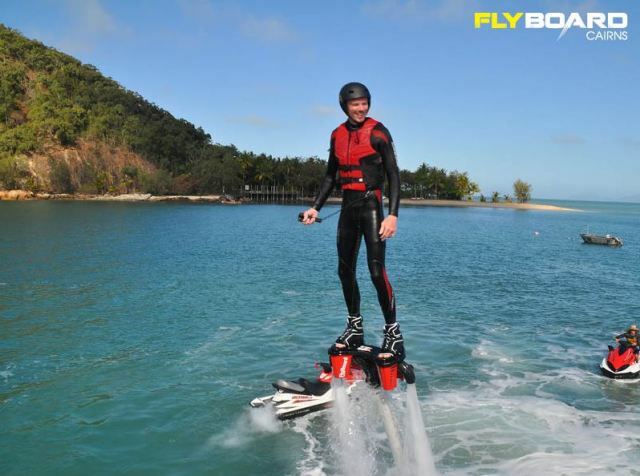 Flyboarding can be for ANYONE!! We have had people as old as 75 and as heavy as 160 kilos, weak joints, differing fitness levels, you name it! We are confident in saying that ANYONE can get up in 10 minutes or less! 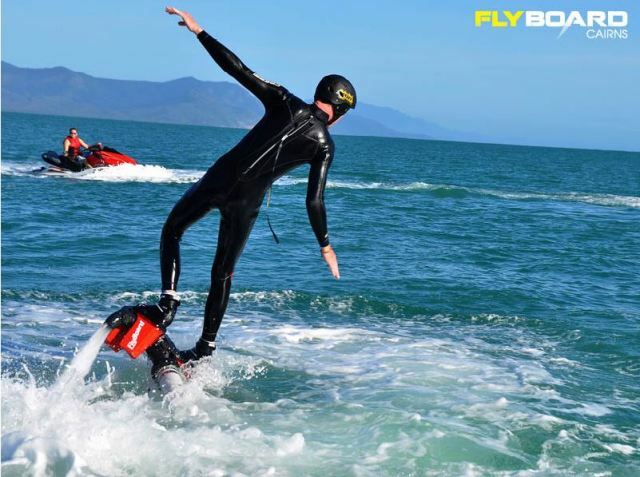 In 30 minutes we plan for a 10 minute learning curve to get up and flying. serious FUN. 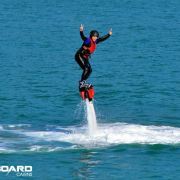 During this 20 minutes you can get to a incredible height of 2 meters. 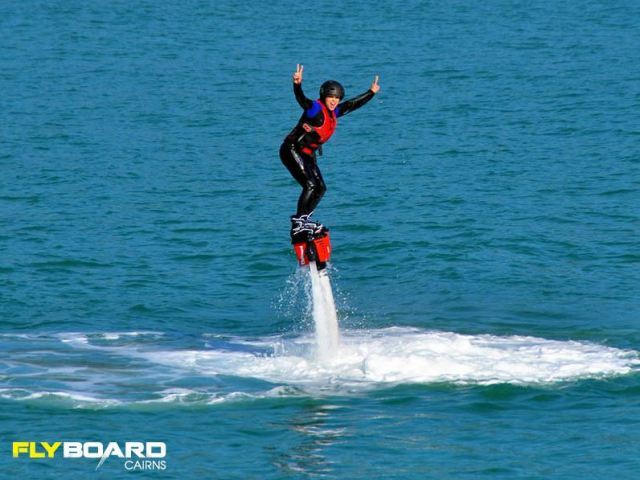 The 60 minute session is our 'Zero-to-Hero' package for first timers. 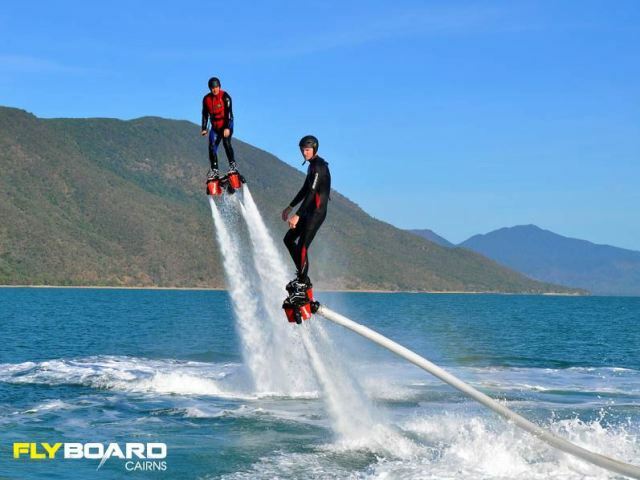 This would includes everything you get in our 30min package, PLUS unlocking power level-2 and obtaining a 4 meter height! !